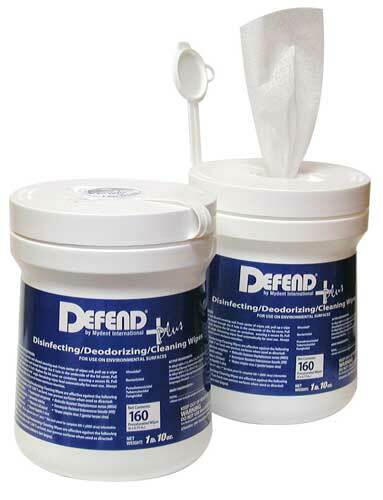 These disinfecting wipes, with new 2 minute kill time* contain a stable, low pH formulated disinfectant and deodorant for use on hard, non-porous surfaces, in hospitals, emergency medical settings, laboratories, medical offices, dental offices – where control of cross contamination is required. Containing a dual chain quaternary ammonium/alcohol formula, the product is proven effective against the following pathogens in 2 minutes* at 20 degrees Celsius/60 degrees Fahrenheit, on hard, non-porous surfaces when used as directed. -HIV-1 (AIDS virus) – 1 minute kill. See product label for complete information.